However, all of these are natural, unconscious revolutions. But man is the possessor of a mind and intelligence which distinguishes him from and makes him superior to other beings. 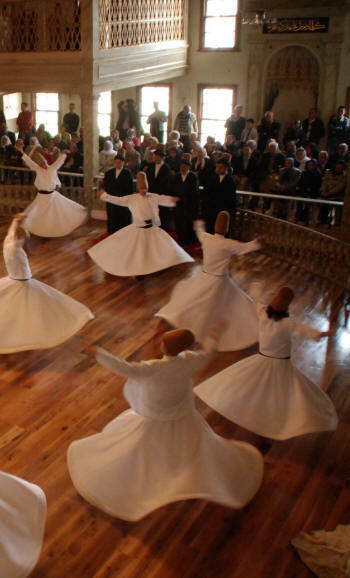 Thus the "whirling dervish" or Semazen causes the mind to participate in the shared similarity and revolution of all other beings… Otherwise, the Sema ceremony represents a mystical journey of man's spiritual ascent through mind and love to "Perfect." Turning towards the truth, his growth through love, desert his ego, find the truth and arrive to the "Perfect," then he return from this spiritual journey as a man who reached maturity and a greater perfection, so as to love and to be of service to the whole of creation, to all creatures without discrimination of believes, races, classes and nations. The dervish with his headdress (his ego's tombstone), his white skirt (his ego's shroud) is by removing his black cloak spiritually born to the truth, he journeys and advances there. At the onset and each stop of the Sema, holding his arms crosswise he represent the number one, and testifies to God's unity. While whirling his arms are open, his right hand directed to the skies ready to receive God's beneficence, looking to his left hand turned toward the earth, he turn from right to left around the heart. This is his way of conveying God's spiritual gift to the people upon whom he looks with the eyes of God. Revolving around the heart, from right to left, he embraces all the mankind, all the creation with affection and love… It starts with an eulogy "Nat-I Serif" to the Prophet, who represents love, and all Prophets before him. 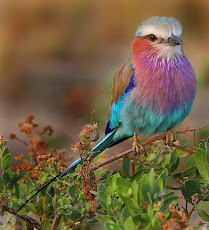 To praise them is praising God, who created all of them. symbolizing God order to the Creation: "Be." The third part is an instrumental improvisation "taksim" with a reed "ney." It represents the first breath which gives life to everything. The Divine Breath. The fourth part is the "dervishes" greetings to each other and their thrice repeated circular walk "Devr-i Veled," with the accompaniment of a music called "peshrev." It symbolize the salutation of soul to soul concealed by shapes and bodies. The fifth part is the Sema (whirling). It consists of four salutes or "Selam"s. At the end of each as in the onset, the dervish testifies by his appearance to God's unity. The forth salute Just as the Prophet ascends till the "Throne" and then returns to his task on earth, the whirling dervish reaching the state of "Fenafillah," return to his task in creation, to his state of subservience following the termination of his spiritual journey and his ascent. He is a servant of God, of his Books, of his Prophets and all his creation. At the sixth part Sema ends with a reading of the Quran and specially of the verse from sura Bakara 2, verse 115, "Unto God belong the East and the West, and whither over ye turn, you are faced with Him. He is All-Embracing, All-Knowing."